A compilation of both vintage and never-before-collected Asimov stories. It features works such as "Little Lost Robot", "The Feeling of Power" and "The Last Question". Recent books published by the author include "Robots and Empire" and "Foundation and Earth". "This collection gathers 20 of Asimov's greatest (with Asimov, the word 'great' is no mere hyperbole), older short stories, plus one tale written especially for this book, and an important essay... represents the top picks from a 40-year career...some rarely seen." 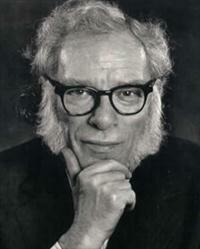 Isaac Asimov was born in Russia in 1920 and grew up in the USA. His fantastic career as a science fiction writer began in 1939 with the appearance of a short story "Marooned Off Vesta", in Amazing Stories. He won the Hugo Award four times and the Nebula Award once. With nearly five hundred books to his name and several hundred articles, Asimov's output was prolific by any standards. He died in 1992 at the age of 72.